No annoying cords. No fire hazard. No dripping candlewax. Purist design made in Germany. Transforms any empty wine or champagne bottle into an attractive lamp. For indoors and out. Available in bright white or with a colour-changing LED. 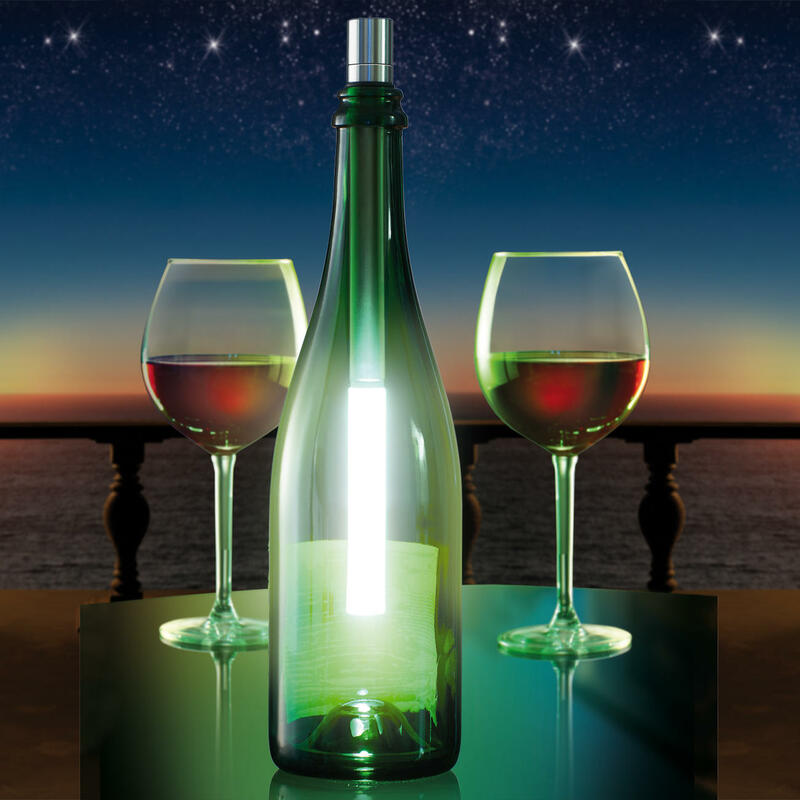 Simply turn on the LED light rod and slip it into an empty bottle to create your own individual lamp: Perfect for garden and pool parties or a romantic picnic in the park, etc. 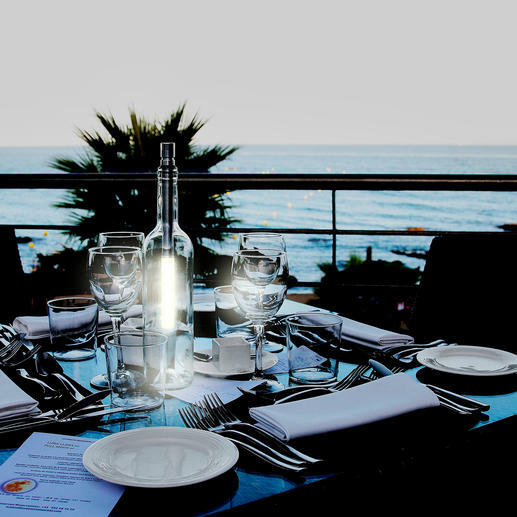 Unlike a candle, this light withstands any breeze and is entirely safe in the tumult of a party. 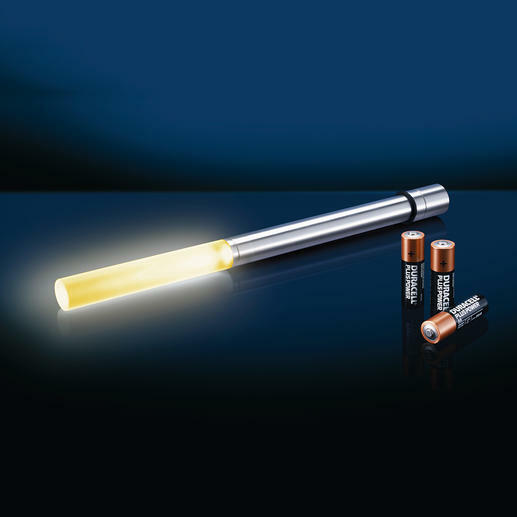 Bottlelight Classic: The white Superflux LED (5,000K) is extra bright due to an amperage of 25-30mA and has a luminous flux of approx. 14lm at an efficiency of approx. 170lm/W. Bottlelight Colour: Simply by tilting and turning the rod you can choose from 25 colour shades (plus bright white, approx. 5,000K) and 4 brightness levels (25, 50, 75, 100%). You can select monochrome or changing colours. This way your bottlelight shines differently each time – matching the mood, table decoration, etc. Amperage: 25-100mA. Luminous flux: Up to 51lm. Efficiency: Up to approx. 170lm/W. Made of aluminium alloy and acrylic polymer. Splashproof. 26cm (10.2″) long. Fits all standard wine bottles with a 17 to 22mm (0.6″ to 0.8″) inner neck diameter. Runs for up to 100 hours on 3 AA batteries (available separately). 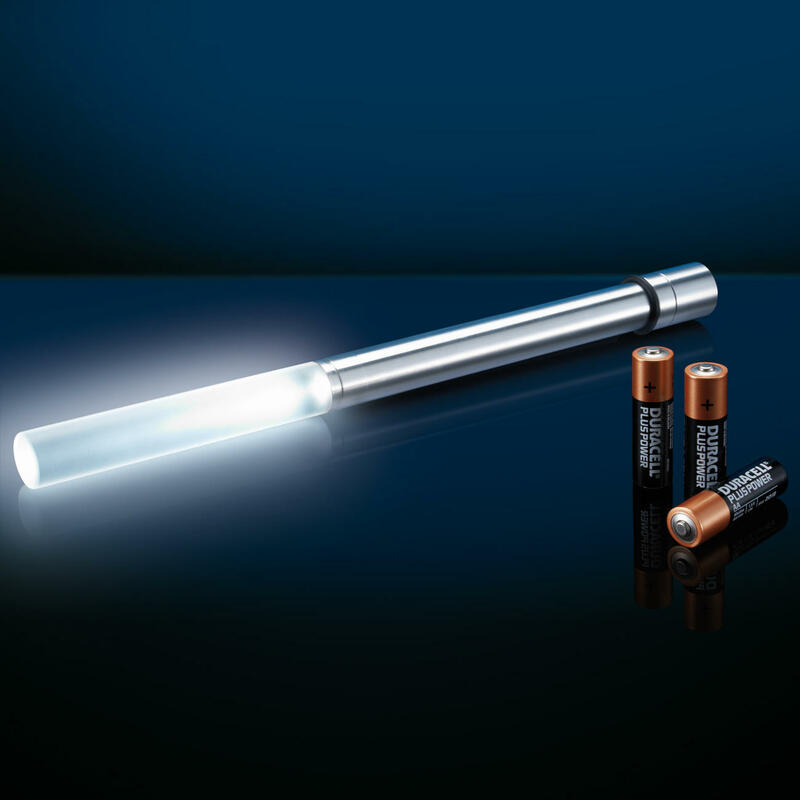 LED life: Up to 100,000 hours. I bought 2 of these last year. I placed them in 2 wine bottles on a garden table & they worked so well that I've decided to buy another two. Enough said. We purchased both the 'white' and the 'colour' Bottlelights and they look great. Easy to install into the neck of the bottle, the hardest part is putting the batteries in - which says it all! !